EUGENE, Ore. — Mario Cristobal has a huge smile on his face. He’s imagining something that will never happen, but a man can dream. He’s not wrong. At least if he’s talking about the best offensive linemen. They’re big, strong and not worried about who gets the credit. They’re concerned mainly with accomplishing the assigned task and helping their teammates prosper. They’re loyal, and they’re willing to be uncomfortable for the sake of the cause. Sure, we might need to find a way to produce more food to keep this utopia humming, but it would be an XXXXXXXL paradise where no one ever whines except when the training table runs out of chicken wings. I read that. Thought it was very good. 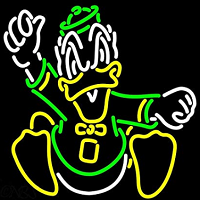 Isn't it a little early to say that Cristobal has Oregon ahead of schedule? His best win is over Cal. It's not entirely clear how good Stanford is, either. Don't get me wrong, I'm quite optimistic that the team is headed in the right direction. But in order to be ahead of schedule, he needs to either beat Washington, actually finish Stanford, or run the table outside of those two. 8-9 wins was the expectation going into the season, if he gets 10, then it's fair to call him ahead of schedule. I was listening to Staples on a podcast this week and he said he was in Eugene for several days and came away very impressed with Mario and the program overall. He also predicted that Oregon would be the class of the Pac-12 moving forward.